New – Learning Zone -Discovery Primary Science – Read all about our Science and Maths year! 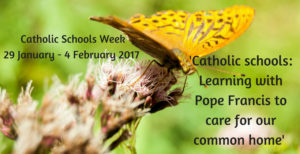 Catholic Schools Week: 29th January – 4th February. Learning with Pope Francis to care for our common home. St. Pat’s is a Green School! As you read on you will discover more about our pupils, our teachers, our school, and our achievements. I hope you find our website interesting and helpful. "Ní neart go cur le Chéile"
St. Patrick’s Boys’ National School has a long and proud tradition of educating boys in Donabate, Portrane & Balheary. Portrane Road, Donabate, Co Dublin. Ireland. Copyright St. Pats BNS. All Rights Reserved. Privacy Statement.